The work of a Spiritual Practitioner/Minister is to recognize the creative power within everyone and to use positive, affirmative prayer to heal and transform that which requires healing and transformation. This healing work requires commitment and persistence although there is a definite opportunity for instantaneous healing in some cases. The relationship between a practitioner and client is sacred and should always be held in the highest of confidentiality by both parties. 1) I do not work with those who I know personally; i.e. family, friends, business associates. I will refer you to someone else. 3) I do not work with those who are receiving spiritual healing/counseling with other practitioners, ministers, coaches, etc. concurrently. 4) I work entirely through telephone appointments. No office appointments. All information is held in the strictest of confidence. 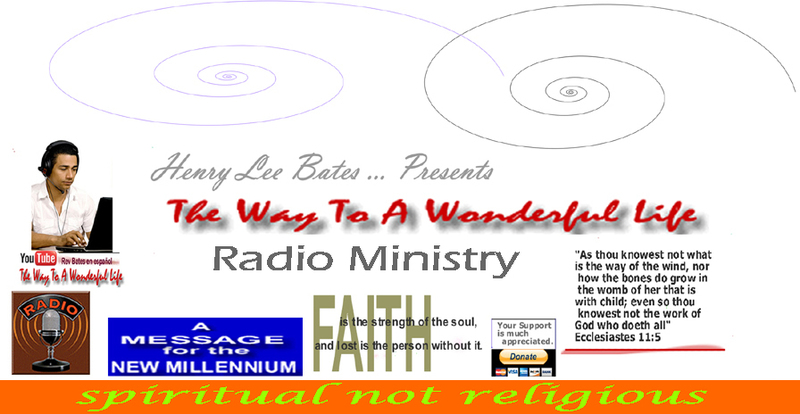 "spiritual metaphysics encompassisng the philosophy of the Master Mind Jesus, the Wisdom of the Ancients and the evolutionary science of mind & spirit"
Copyright 1999-2019 Henry Lee Bates, Inc. - Rev Bates On The Radio. All rights reserved.